Hello everyone! Welcome to the first installment of the Azurilland Top Five. In this top five, we will be focusing on the top five generations of Pokémon. Each entry on the list will feature an Azurilland members who I believed best summarizes what makes each specific generation great. I encourage you all to talk about your own favorite generations of Pokémon. Not only this article, but in the main thread. With that being said, lets get on to the list. In the fifth slot, befitting its number, is Generation Five! 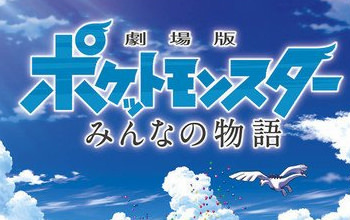 The community praise this generation for its re-imagination of the series. Many were impressed by the strong steps forward this generation improved upon, making many necessary important mechanical changes for the better. With a great narrative and fun games, Unova is a strong favorite among Azurillanders! "Black/White were the first game I owned, but they were a great introduction to the series. Featuring a more prominent story and beautiful graphics, they sucked me in and got me immersed in the Unova region. As I got into the series I ended up buying past games, but they seemed more old-fashioned than the Unova games did to me. Reusable TMs, animated sprites, changing seasons... It was a big step forward in Pokémon. When Black 2 and White 2 came out, my expectations were blown out of the water. They were the first games where I was able to read leaks and get hyped before they came out. I still remember getting my copy and being overwhelmed by the unique way the games took the region introduced in Black and White, but gave it more depth and character than it had before. Introducing things like the Habitat List and a broader Pokédex, Black 2 and White 2 improved on features that we had been given before. 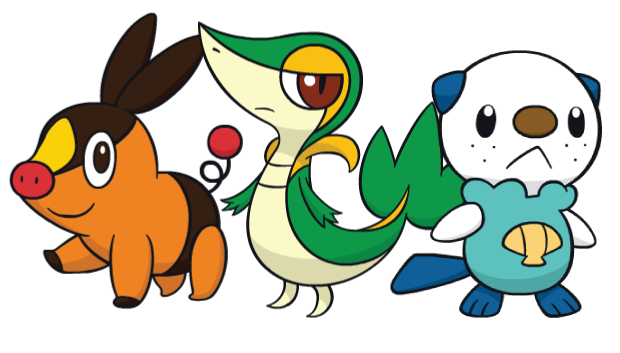 The games also contained a plethora of old Pokemon, ranging from fan favorites like Riolu and Lucario to Legendary Pokemon like Regigigas and Latios. Overall, the game was amazing." "With how much generation 5 introduced, I really liked how things worked out. BW were a risk, and it paid off. Such an adventure, I really have no other way to describe generation 5. Triple battles are probably my favourite kind of battle mode, so having more of them in B2W2 was great. Also B2W2 are just amazing in every possible way." Number four is a generation many in the community grew up on, that being Generation Three. These games are praised for their charm and colorfulness, a bright step into the Game Boy Advanced handheld and transition from 8-bit graphics and sound. It's obvious that this generation has a special spot and many people's hearts. "Pure nostalgia here, I grew up with Generation III and I will always treasure it. These games got me through my childhood which wasn't very pleasant at times. I spent hours exploring the Hoenn region, and there was so much of it that my little self never grew bored with the games. I found things to do and places to go around every corner of my imagination. And FireRed & LeafGreen helped that too, letting me go back to a region of Pokémon I never beat myself, and added that classic feel. All around, I will always love Generation III the most, and I will play them until I can't play games anymore." "I'm definitely biased on this one, because this was the very first generation I played, and the one I played for the longest time. Ruby and Sapphire were such a big jump from Gen II: they're so colorful, with a more fleshed out story, better controls, and all-around a much better look. FireRed and LeafGreen were great remakes, upgrading what they needed to upgrade, but keeping what made the first generation games special. Finally, Emerald is to this day the best "3rd version" in my opinion, with just enough new stuff for it to feel like you're visiting Hoenn for the very first time all over again." The newest Pokémon games, Generation Seven, have definitely impressed a lot of Azurillanders. Many fell deep in love with its storyline, praising it high for a high standard for the current set of new releases. Graphics are also a high point, some saying it's the best a Pokémon game on the 3DS has looked. The current generation of Pokémon is held in high regard by our community! "It's the newest one, yeah yeah, but it has so many new cool elements in it! We've got trials, a downright adorable charm to the game, and a pretty cool cast of characters. Pokémon Pelago makes it easier than ever before to get into competitive play as well. If any one point sold this generation to me specifically though, I'd have to say it's the story. Pokémon's never had the strongest storytelling in the world, but they really stepped up their game, especially in SuMo with the bait and switch with Aether (albeit, it was pretty obvious, but one of their better plot twists imo), and just the sheer depth and surprising darkness that surrounded the core themes of the game, like the abuse of Lillie, Gladion, and according to many theories (which I happen to believe), Guzma. Also, it was a big bonding point I had with meeting a lot of my current friends so there's that." "Gen 7 has had the best games in the series, hands down. Sun, Moon, Ultra Sun, and Ultra Moon managed to shake up the formula while also adhering to what made Pokémon great. It had a large Regional Dex (which only got bigger in USUM), a memorable story, really nice graphics (considering how limited the 3DS hardware is), and the ability to customize your character. Not to mention my second favorite Pokémon was introduced in this generation." The Kalos region of Generation Six makes a lot of Azurillanders feel just right. 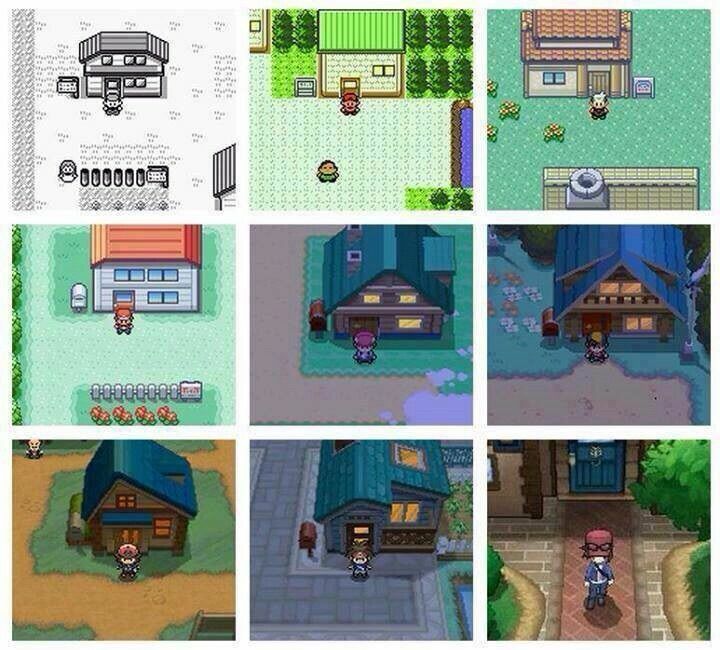 This generation is praised as being a step in the right direction for Pokémon. Many say they wish the generation had more content, which can only be high praise when the audience demands more. With the introduction of Mega Evolution and many other gameplay and graphic improvements, these games are nothing to scoff at. "Playing Pokémon on the 3DS always felt like it was meant to be. 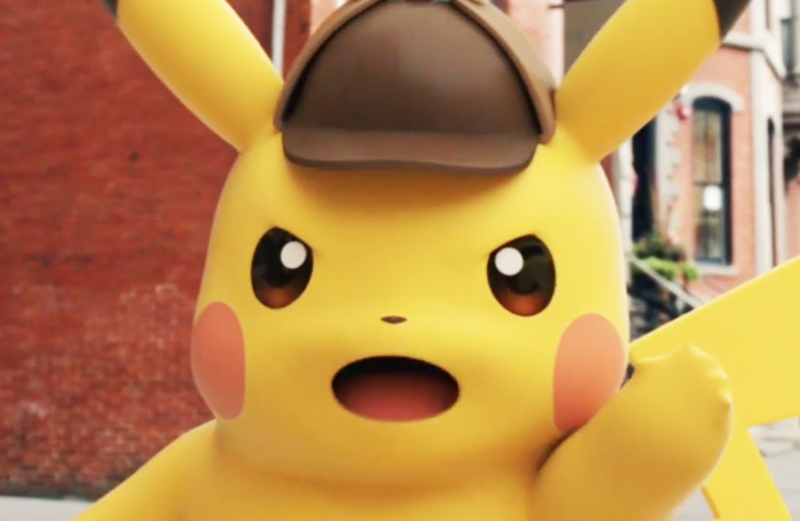 A handheld way to see our Pokémon rendered completely in 3D was the perfect step to do. When I want to play through a Pokémon and I'm not feeling picky, both XY & ORAS are high on my list of interest. So much was added to this game that bettered Pokémon as a whole. 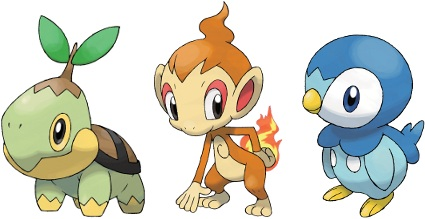 During Generation 5 it felt as though the franchise was experiencing a lot of growing pains, but with the new software they were emerged into the next era. Plus, this generation remade my favorite games, so I appreciate it a lot for it." "Killed before their time, despite my many issues with Gen 6, I feel that they present the overall most aesthetically pleasing package. Gen 7 stepped backwards with the more cartoonish aesthetic, but the realistic look that Gen 6 brought was a needed touch. Trainer customisation on a more mature avatar was nice and needed, alongside the freedom from the 8-direction." The number one most loved generation among our community is...Generation Four! Being the first generation with Wi-Fi capabilities, many claim this generation as a supreme innovator in bringing Pokémon to the new age. Very high praise also comes for the remakes HeartGold and SoulSilver, which many claim to be their favorite Pokémon game of all time. It is obvious this generation has a deep and special connection to everyone in our community, and so it ranks number one in our Azurilland Top Five. 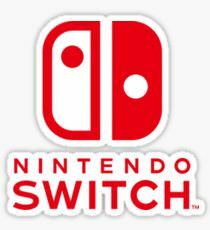 "This was the franchise's first proper jump into 3D graphical enhancements, and the games that they had were a good transition into it. Diamond and Pearl take place in the Sinnoh region, a large region full of diverse areas, which leads up to a big climax of the story where you meet with deities of time, space, and even other worldly dimensions. And after everything, your adventure is topped off with the Champion, Cynthia, who is held in some of the highest regard for opponents to battle, and for very good reason. And that's before we get to HeartGold and SoulSilver, which revamped the Johto games that we've known and loved for so long, enhanced them with so many new different features, the one that most know best being your Pokémon capable of walking alongside you in your adventure, which allows you to bond with them better than ever. They also feature a very wide post-game, because in addition to going through Kanto again, you also have the Battle Frontier, hunting legendaries, being able to rematch Red, getting Kanto and Hoenn starters, among other things. Also, Diamond and Pearl were the first games in the series that introduced the concept of the Nintendo Wi-Fi Connection, which was the start of people being able to battle and trade with anyone around the world, so they deserve a mention for that much." "Had the most fun and time invested into these games. I felt there was more to do in these games than in those of other generations; Diamond, Pearl, and Platinum made for long, enjoyable experiences and gave the player a good amount of freedom to explore. HeartGold and SoulSilver improved upon the original games and introduced a fair number of new changes that I liked, and the major changes (Pokéwalker, the Pokémon following behind you, to name two examples) felt very unique. Diamond and Pearl weren't perfect, but Platinum came along and improved on most of the originals' flaws, such as the slow feel of the battles, while adding a new Battle Frontier that kept me occupied for a long time in the postgame. Aside from those factors, what makes Gen 4 my overall favorite include that fact the Pokémon introduced in this generation include a lot of my favorites. Gameplay-wise the physical/special split was a much needed change that diversified battling and the Pokemon themselves, making them a lot more fun. Lastly, it was the generation that made Pokémon truly global, with the ability to connect to anyone around the world through Wi-Fi, thus allowing Pokémon communities to flourish like never seen before. That aspect of Generation 4 is the one I will never forget." "No list would be complete without including the original generation. While the games were very flawed and filled with bugs and errors, the things going on outside of the game is what made this generation shine. The anime, movies, merchandise, TCG, etc. were all booming and contributed to Pokémania. It was a time when the whole world took notice and began to build the franchise into what it is today.Pokémon really expanded what Nintendo and Game Freak could offer in a game and in its first generation, we had playing Game Boy games through a system, interacting with virtual Pokemon with a microphone, an emphasis on interactions with other real life players, to name a few. While this generation has its flaws and quirks, it's something that has inspired and built communities like Azurilland." "The games are filled to the brim with content and there’s much to explore and do. 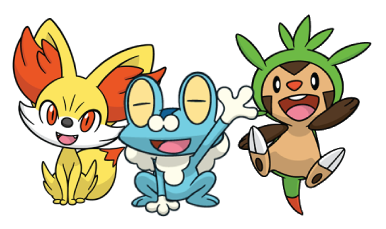 Many of my favorite Pokémon are from this Gen, including Sneasel and Phanpy. Breeding and Dark/Steel types (two of my favorites) were additions in the originals, while the remakes included following Pokémon, a ramped up Safari Zone, and all the changes brought from Gen 4 which I’ll get to eventually. The music contains my favorite music and includes many great characters. The Achilles heel of this Gen lies in its wasted opportunities. 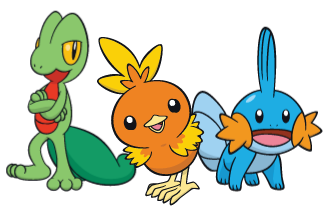 Many of the original Pokémon were shafted in favor of their Kantonian peers in terms of attention, and combined with Kanto being another significant region here, makes Gen 2 feel like nothing more than a better Gen 1. As Gen 1 is my least favorite, this leaves a bad taste in my mouth. Despite that, the pros outweigh the cons and Gen 2 remains one of my favorites." Thank you to everyone that participated. If you have any questions about how the list was determined, please do check out the main thread and feel free to make your own lists of your top five favorite generations of Pokémon! It’s awesome seeing so many people chip in with their detailed opinions on why they think the generations they chose were the best. Thanks so much for organizing this, Kaity! My list is quite similar. All the same generations, only in a different order. Funny thing, I'm playing through Platinum right now. 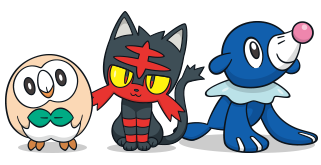 I'm really surprised so many people enjoyed Gen 6! Definitely interesting to hear about other folks' opinions. I'm looking forward to the next one! Even though this is a completely different crowd, it's fitting that Gen 4 got the highest marks from the forums as it was the generation when this place blew up. I also chose this since it introduced Wi-Fi, the physical/special split, as well as the beginning of the popularization of competitive. As for this idea overall, I think it's a great way for members to contribute to articles without having to commit one person to one article.